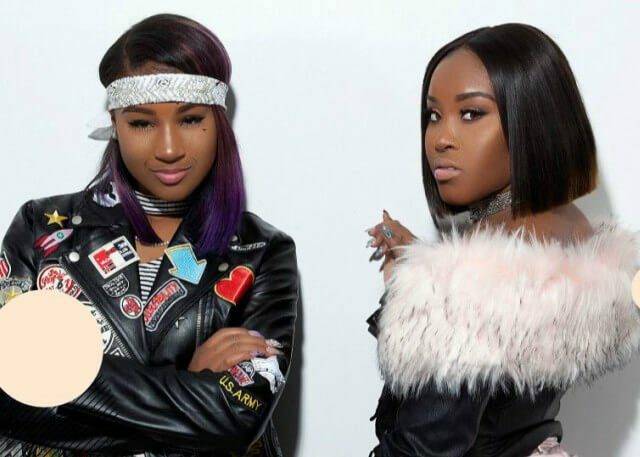 Consisting of sisters Ti and Daysha Taylor, The Taylor Girlz became an overnight sensation after the rap group released singles “Steal Her Man” and “Wedgie” in 2016. Accumulating over 40 million streams worldwide, 53 million views and landing the girls 200k YouTube subscribers, the tracks sent the Taylor Girlz viral. Becoming the face behind the 2016 dance craze #Stealhermanchallenge and #WedgieinmyBootyChallenge. In February 2017 they announced their highly anticipated EP, “Who Are Those Girlz ! ?” Via Taylor Boi ENtertainent/ RCA Records. Their current single “Big Ole Booty” is hitting the charts hard, becoming a viral sensation too. You can catch The Taylor Girlz on tour with Fresh Empire or The Make Me Dance Tour in a city near you.